I’ve written about the Maui Tropical Plantation‘s transformation the past few years. I’ve even posted pictures of the very cool historic train inside the Mill House Bar. I finally got to eat there! When we first started coming to Maui on vacation, the Maui Tropical Plantation was always on our ‘things to do’ list. The main attraction was their duck pond for our kids. After a number of years it unfortunately closed to the public, only to have been reopened a few years ago under new ownership. The new owners have done an amazing job of the place. 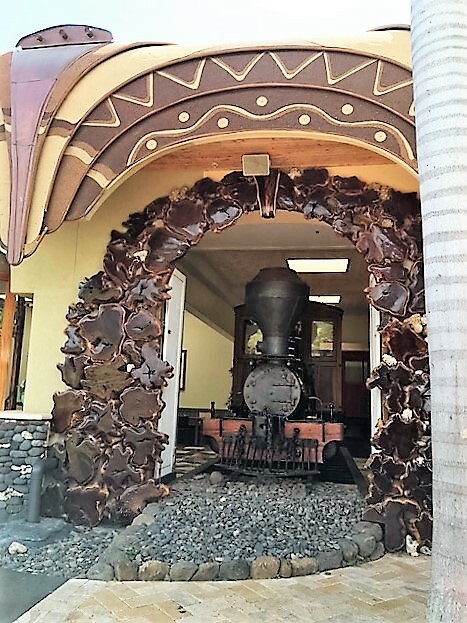 I love how they’ve taken old sugar cane factory parts and converted them into lawn art and garden decor. 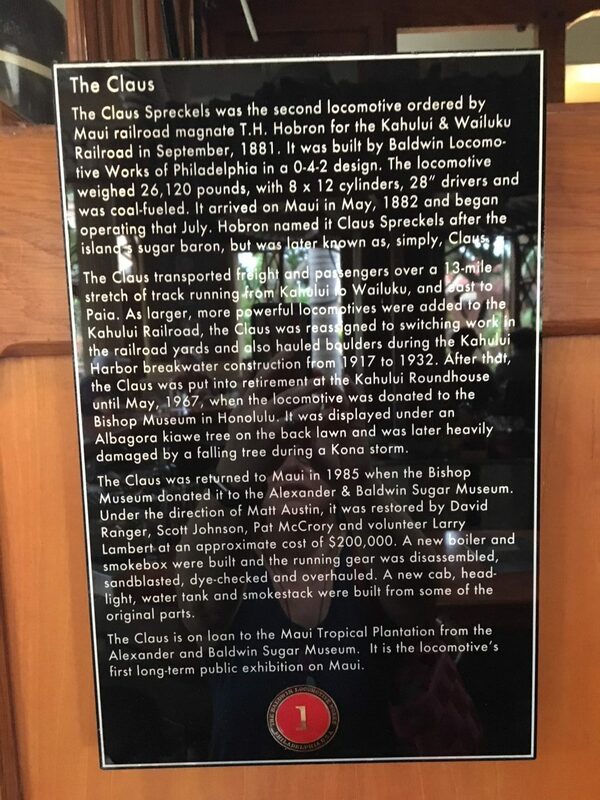 An homage to Waikapu’s rich sugar cane history. Admission to the grounds is free, and I highly recommend you go check it out. And yes, the gift shop (which is large and good) also sells $2 duck food baggies. The Tropical Plantation also features the Mill House which is a high-end farm-to-table restaurant and bar. I’ve always admired the bar from outside – particularly checking out the historic train inside the bar (how cool is that!). The other day I finally got to eat there – happy hour and pupu (appetizers). The food was great, service good, the ambiance amazing. 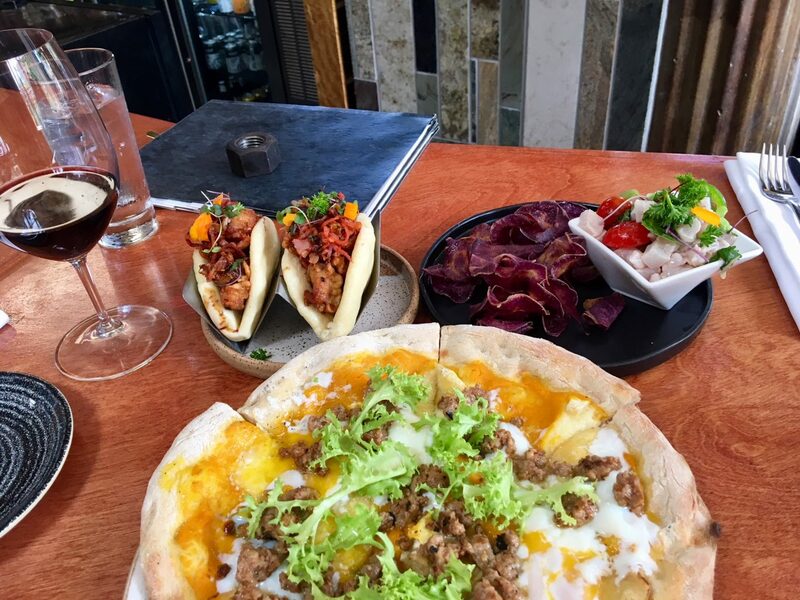 Specifically we had a squash pizza, ceviche and bao bun tacos. What’s up with the train in the bar? 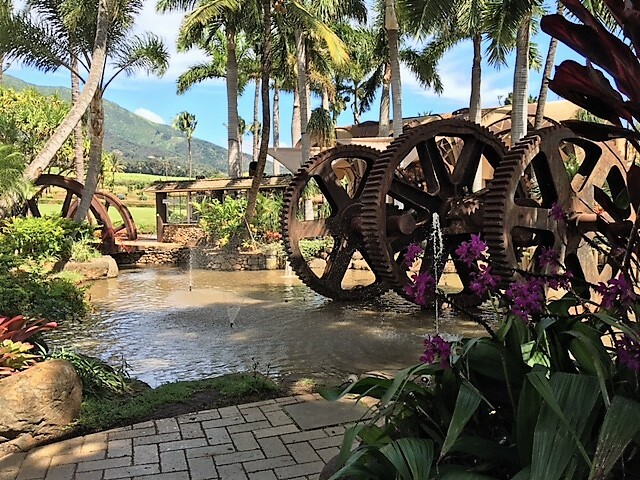 Other things to check out at the Maui Tropical Plantation: a coffee roaster, ice cream, several smaller shops, a tour of the property. Do note that most of these places close at 4pm. 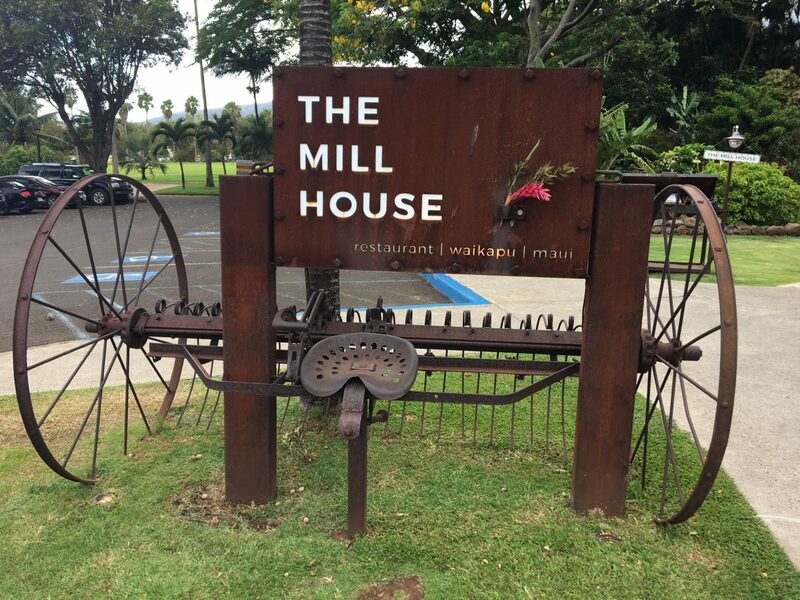 The Mill House also hosts it’s weekly Chef’s Table event. At $150/person my friend tells me it’s an amazing culinary event.